​A dual technology motion detector is a security device that uses multiple methods for detecting the presence of motion. In most cases, this includes a combination of passive infrared technology and a microwave radar. 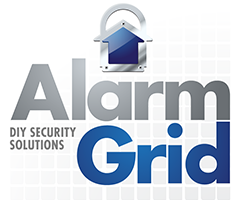 Purchase a dual technology motion detector for your security setup from Alarm Grid. What makes a dual technology motion detector unique is it will work to sense motion using multiple methods. Most dual technology motion detectors feature both a passive infrared (PIR) sensor, along with a microwave doppler radar. In order for the device to activate, both of these sensors will need to be activated. These devices are very accurate in detecting the presence of a human intruder, and they are extremely efficient in reducing false alarms caused by things like inanimate objects or pets. Both sensors in a dual technology motion detector will operate independently in their own unique way. A microwave doppler radar functions by sending microwave signals to detect objects in the area. By having these microwave signals bounce off the objects and back towards the sensor, the device can determine what structures are in its vicinity. If there is a change in the microwave signals that bounce back towards the sensor, the radar will assume that motion is present. For instance, if an intruder walks past the sensor, then the signal that strikes against them will bounce back at the sensor, causing the radar to sense the movement in the area. Unlike the microwave radar, the PIR sensor will not send any outward signals. Instead, it will detect the infrared energy that is present in the area. If a major change in infrared energy is detected, it will set off the PIR sensor. The change in infrared energy must be large enough for the sensor to activate. This will prevent false alarms from things like insects or pets. Many of these sensors can have their pulse count adjusted to increase or decrease the sensitivity of the device. A higher pulse count will make the device less sensitive, while a lower pulse count will increase the sensitivity of the sensor. In order for a dual technology motion detector to activate, both the microwave radar and the PIR sensor must be triggered. This is great for preventing false alarms that may cause one of these sensing methods to activate without the other. It is possible that one of the sensors may stop working, possibly due to a low battery. If this occurs, a trouble condition will be displayed on the panel to alert the user of the issue. Some sensors may continue to operate strictly as a single purpose sensor until the other sensor is restored. Detection range is a very important consideration when purchasing a dual technology motion detector. You will want to make sure that the device will cover the entire area that you need to monitor. The scope of this area can usually be adjusted by changing the mounting height or location of the sensor. Some dual technology motion detectors are specifically designed for long range motion detection, making them particularly ideal for long, narrow areas. Additionally, many users cover up a portion of the lens on their motion detector in order to restrict the area of detection. This can be useful if you only require motion detection across a specific area. What are Microwave Motion Sensors? Do Alarm Motion Sensors Work Through Glass?